Baby and children's sleepwear are some of the cutest clothing you can buy, in fact I quite love buying Tyler Lee little onesies and pyjamas now he's older. A new online shop specialising in all things baby and children's sleepwear is And So To Dream. And So To Dream stock gorgeous sleepwear for children aged 0-12 and the designs they stock are beautiful, making sure that little ones aren't just warm and comfy going to bed but also looking quite stylish too - hey, pyjamas are something a child will wear every night so why not make them beautiful as well as being a staple item of clothing right? And So To Dream feature both traditional and modern sleepwear ranging from the traditional, classic looking nightie and pyjamas to the modern t-shirt and short variety. The designs, colours and patterns of their sleepwear are just gorgeous. What I love about And So To Dream is that the sleepwear they stock for boys is just as lovely as the girls selection. Tyler Lee now has the Turquaz Rowdie pyjamas which are a design classic and feel so soft, these will be sure to keep him warm and cosy in the colder months. These beautiful blue pyjamas come with their own embroidered pyjama bag making them a wonderful gift choice and perfect for sleepovers. I also think the bag is great for teaching little ones how to fold away their pyjamas in the morning and it would look lovely hanging off the bedhead. I love the detailing on these pyjamas, the collar, buttons and little pocket make them so classic looking, I love them. The Turquaz Rowdie's are £25. Along with their sleepwear range And So To Dream also stock the adorable BoBo Buddies which were a big hit on Dragon's Den. These cuddly characters are the perfect accessory for any little one who is going on their travels or simply for a nap at home. 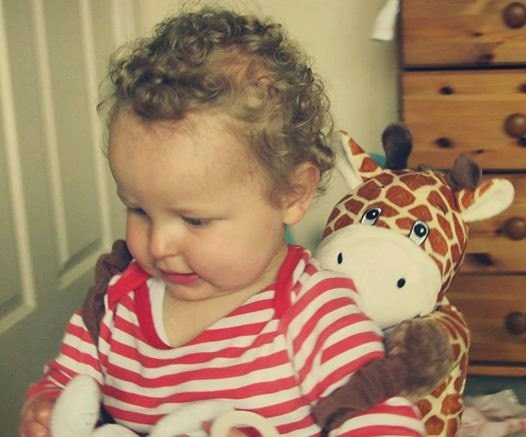 Tyler Lee has Raffy the giraffe which he loves, I was so surprised that he didn't mind something being on his back, he even said "awww" and put his head to it, his version of a hug, so he definitely got his seal of approval! The BoBo Buddies are a four-in-one product being a backpack with a fleece blanket inside, they can also be used as a pillow and a cuddly friend to snuggly into at nap time. All the BoBo Buddies And So To Dream stock are £25. As you can see And So To Dream offer everything your little one needs for a comfy nights sleep in style. There range is beautiful and I highly recommend the Turquaz Rowdie pyjamas, I can't wait for Tyler Lee to get into them and snuggle up on the couch by the fire with me when they colder months set in. He'll be sleeping in style! You can purchase the Turquaz Rowdie's and BoBo buddy range, as well as browse through the other gorgeous items on offer on the And So To Dream website. You can also keep up to date with all their updates on Twitter and Facebook. Aw these are so cute! I'd love it if you considered linking up with my new #KidsCorner linky which is all about sharing reviews of children's products!